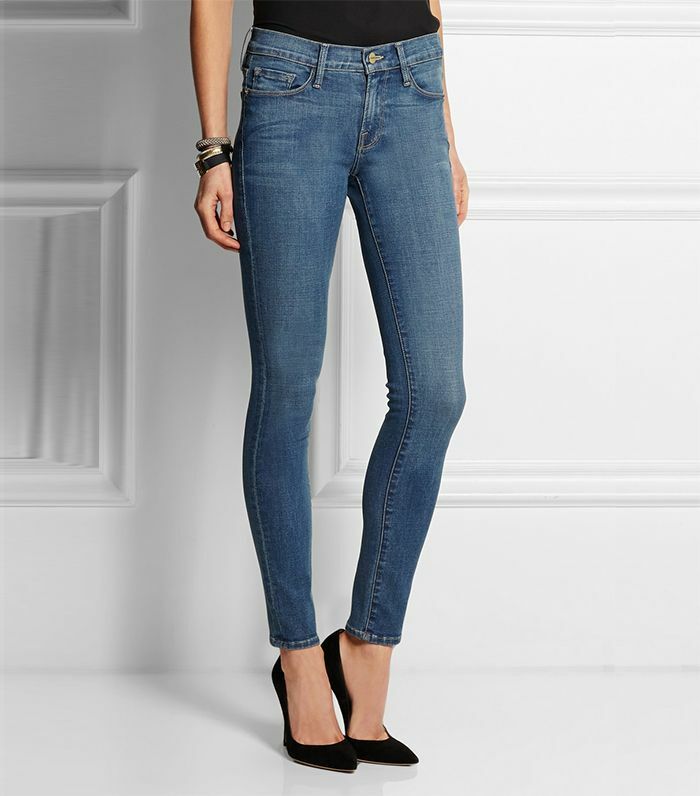 If we could choose one clothing item to wear every single day, it would undoubtedly be denim. You, too? 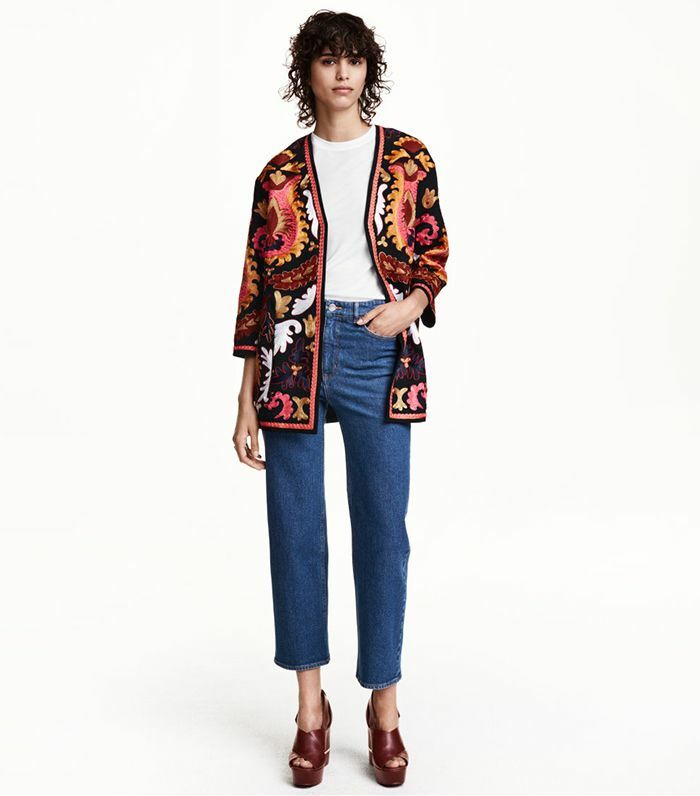 The right pair of jeans just has that way of making your outfit feel instantly cooler. And our favorite celebs couldn't agree more. Gigi Hadid, Chrissy Teigen, Kate Bosworth, and many more A-list style stars basically live in denim of all styles. Keep scrolling to check out four of this season's best denim trends along with the celebs who wore them best. New weekend outfit inspiration? We think so. On Rosie Huntington-Whiteley: Chloé Iconic Silk Crepe de Chine Tank ($550); Balenciaga Papier A4 Tote ($2295); Paige Denim Hoxton High Rise Ultra Skinny Stretch Jeans ($179) in Black; Tabatha Simmons Blaze Embellished Suede Sandals ($895). 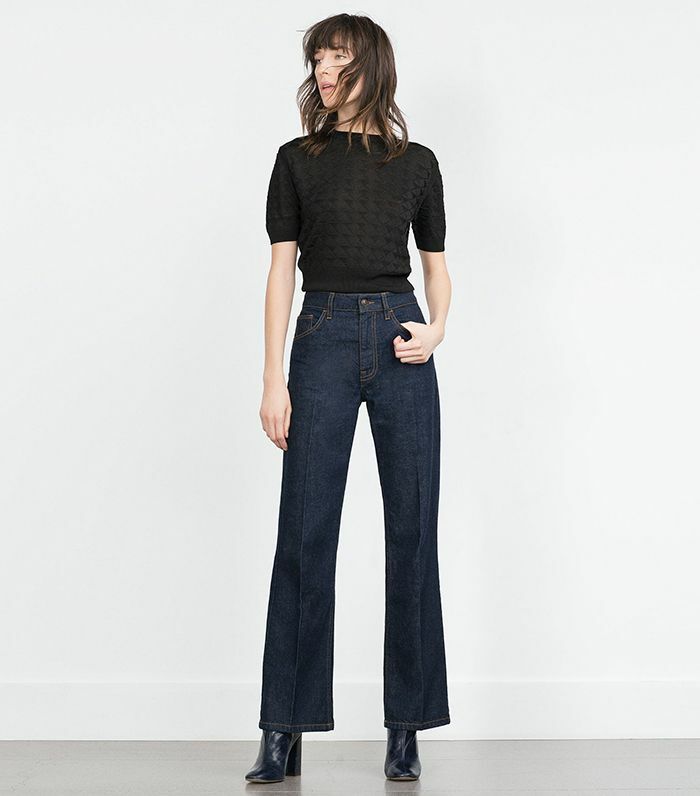 On Ruby Rose: Zara jeans. On Reese Witherspoon: Westward Leaning x OliviaPalermo.com O.P.6.2. Saline Sunglasses ($210); Draper James Tweed Nashville Shirt ($195); Paige Verdugo Crop Jeans in Midlake ($160); Raye Tia Heels ($175) in Tomato. 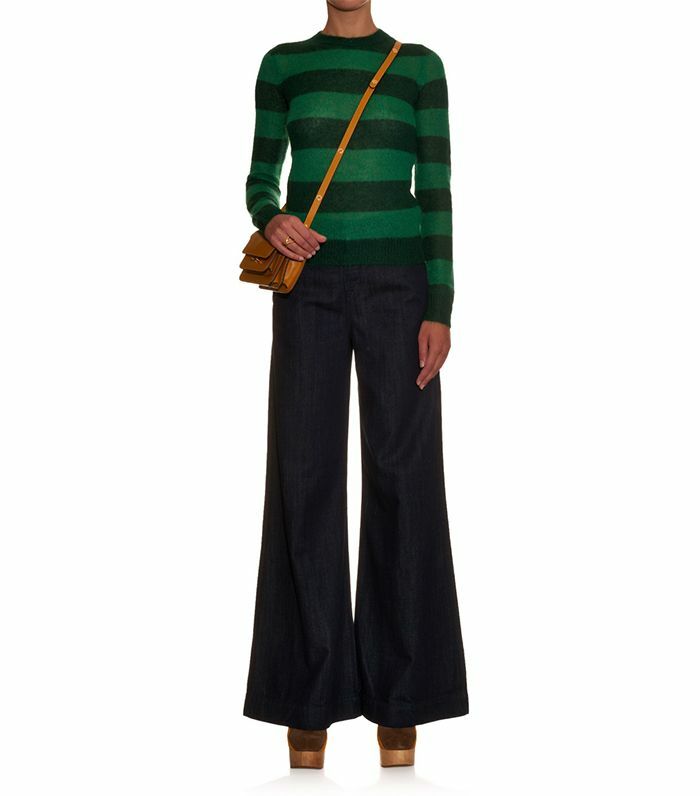 On Chrissy Teigen: Chloé sweater and bag; Citizens of Humanity Fleetwood High Rise Flare Jeans ($228). 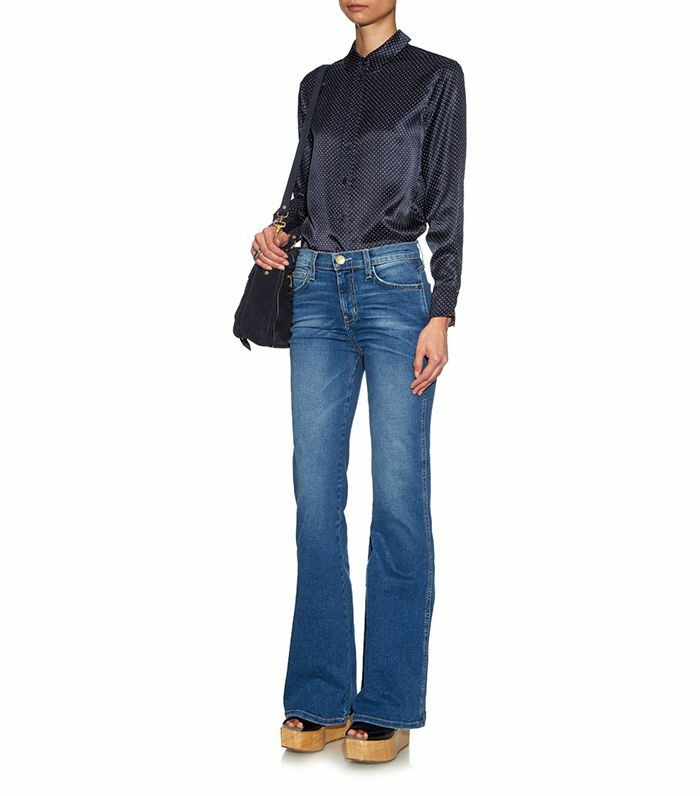 On Dianer Kruger: Gucci blouse; Mother jeans. On Jamie Chung: Madewell Flea Market Flares ($135) in Thom Wash.
On Gigi Hadid: Elizabeth and James jacket and bag; Citizens of Humanity jeans; Giuseppe Zanotti sneakers. On Karlie Kloss: Mansur Gavriel Canvas Backpack ($675); Superga Cotu Classic Laceup Sneakers ($65). On Jennifer Lawrence: Oliver Peoples Masek Sunglasses ($395); Kenneth Cole Nevins Street Small Leather Bucket Bag; Levi's jeans; Lanvin Platform Wedge Sandals ($300). On Rihanna: Levi's jeans; Goyard Hullot pet carrier. On Kate Bosworth: Tod's handbag.